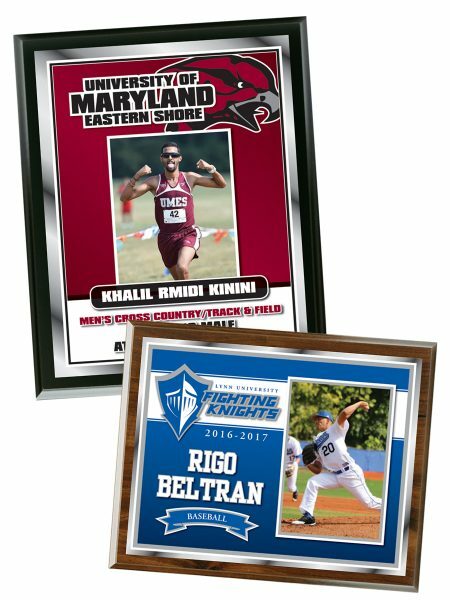 Custom Plaques for Team Championships, Service Awards, Letterwinner & Senior Awards, Special Recognition. 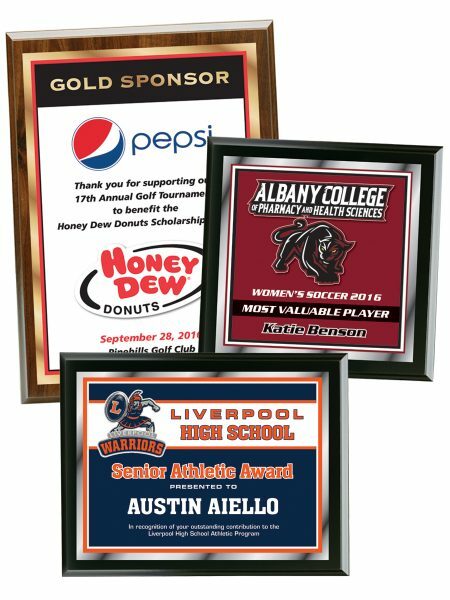 Vibrant, full color digital graphics and highly personalized to each individual achievement. Sizes: 8.5x8.5, 8x10, or 9x12 Plaque Colors: Walnut or Black Graphics: Your Custom Text, Logo & Colors! Prices are per plaque for quantity ordered. Please add UPS shipping. For details on submitting artwork, click here. Sizes: 8x10 or 9x12 Plaque Colors: Walnut or Black Graphics: Your Photo, Custom Text, Logo & Colors! Prices are per plaque for quantity ordered. Please add UPS shipping Set up fee may apply for artwork or photos that are not emailed in proper format. For details on submitting artwork, click here. 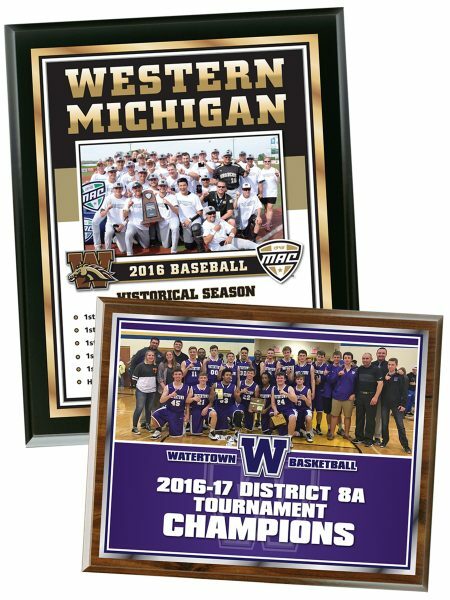 Sizes: 9x12, 10.5x13 or 13x16 Plaque Colors: Walnut or Black Graphics: Your Team Photo, Custom Text, Logo & Colors! Prices are per plaque for quantity ordered. Please add UPS shipping. Set up fee may apply for artwork or photos that are not emailed in proper format. For details on submitting artwork, click here. 3 Elegant Styles to Choose from. Highly competitive wholesale prices with no set-up charges. Artwork for approval within 48 -72 hours. 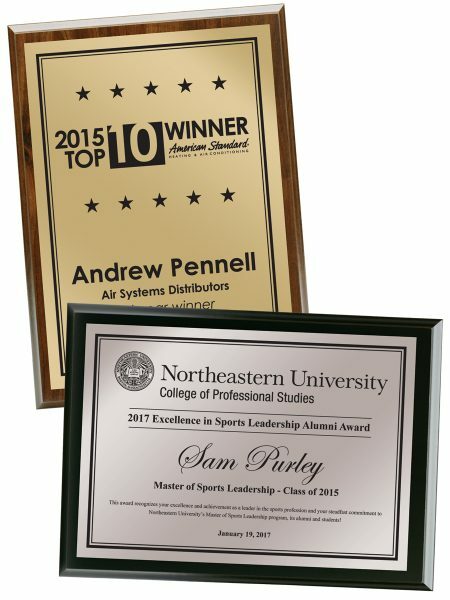 Plaques ship within 10 working days of artwork approval. Experience our customer friendly approach. Your satisfaction is our number one priority. Creative, state of the art designs from our in-house art department. I’ve been doing business with SMi awards I’d guess for 13 years now. I’ve gotten to know several of their employees and look forward to working with them each year. My kids love the plaques that we make for them. What makes it for me is the friendliness as well as the affordability for my program. We’ve worked with SMi Awards for several years and they always deliver high quality products and very fair prices. But it’s their customer service that keeps us coming back year after year. They are fast, friendly, and reliable and we would recommend them 100% of the time. We love working with SMi! Their staff is friendly, knowledgeable and efficient. The quality of their product is excellent and the prices are very reasonable. SMI says they will deliver and they do! Our relationship with SMi Awards has been entirely positive. They are prompt, reliable, and professional in their service. We have always appreciated their personal touch in our ten years of doing business with their company.